I’m thrilled to bring you a brilliant guest in this episode of The Unstoppable Teen Podcast. 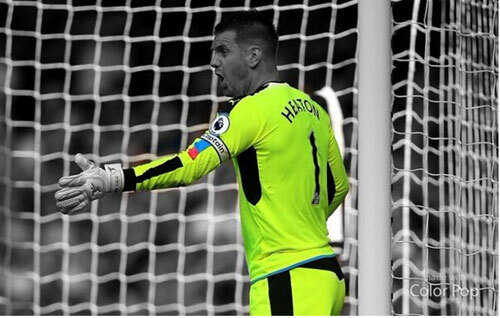 If you follow sports, you probably already know of Tom Heaton, the Premier League goalkeeper and captain of the Burnley Football Club who also plays for the England national team. I first met Tom during his teenage years, and I still remember feeling struck by his personal presence, professional standards, and phenomenal manners. He’s managed to maintain all of those qualities across the years despite some pretty dramatic setbacks and personal success, which he talks about during this conversation. It’s rare to have such an open and forthright conversation with a superstar, and I hope you’ll enjoy it as much as I did! Even more importantly, though, I hope you’ll learn from the conversation. Tom has some amazing insight into what it takes to live your dreams, and the kind of attitude you need to overcome the inevitable challenges you’ll encounter along the way. His words of wisdom aren’t only for those who want to be professional sports players. They’re for people who want to be good at anything. One final note: Tom was in a hotel room in Germany when we had this conversation, and the internet cut out a few times. Please be patient with the occasional sound quality issues; I promise the content is well worth it!